Paul William Walker III, father of late actor Paul Walker, recently announced that he is suing Porsche for his son’s death. 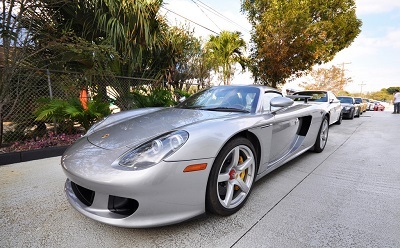 The younger Walker, who rose to fame in the Fast and Furious film franchise, was killed in an accident two years ago while a passenger in a Porsche Carrera GT. A 3-year-old boy was killed in an Oklahoma car accident that occurred in a McDonald’s parking lot. According to a news report in The Oklahoman, the fatal pedestrian accident occurred at Northwest Expressway and Council Road in northwest Oklahoma City. Officials say a mother and her two sons were crossing the parking lot when they were struck by an SUV. The 3-year-old sustained fatal injuries and the mother and 4-year-old suffered non-life-threatening injuries. The female driver of the SUV was not arrested, but the investigation is ongoing. According to the report, she may have caused the crash while distracted by another vehicle. A 33-year-old woman was killed in an Oklahoma car accident involving a hit-and-run driver. According to a KTUL news report, the fatal hit-and-run crash occurred on 61st Street between Memorial and Mingo in Tulsa. Officials say the woman was walking with a man in a construction zone when a black or dark gray mid 2000s Chevy truck struck them. Both victims were taken to Saint Francis Hospital, where the woman succumbed to her injuries. Later, a 23-year-old man believed to have caused the crash was arrested and charged with leaving the scene of an injury accident. An 18-year-old woman was killed in an Oklahoma car accident, which officials say, was caused by two vehicles racing each other on a public roadway. According to a News 9 report, the woman was killed when two cars that were racing crashed into the teen’s van at the intersection of 81st and Delaware. A 39-year-old woman has been killed in an Oklahoma car accident involving a head-on collision with a semi truck. According The Oklahoman, the fatal truck accident occurred on U.S. 270 southeast of Seiling. Officials say a Mack truck crossed the centerline and struck the vehicle. The victim was pinned in her vehicle for two hours before being freed by the Seiling Fire Department. She was pronounced dead at the scene of the crash. A passenger in her vehicle was hospitalized with head and leg injuries. The truck driver was treated and released at the hospital. It is unclear why the accident occurred or if the truck driver will be cited for the collision. One person was killed in a recent Oklahoma City car accident involving two vehicles. According to a news report in The Oklahoman, the fatal crash occurred at South Lincoln Boulevard and East Sheridan Avenue in Oklahoma City. It is not clear from the report why the two vehicles collided or how the crash could have been prevented. A 55-year-old woman was killed in a Tulsa County car accident when the Ford SUV in which she was a passenger struck another vehicle. According to a News 9 report, the fatal car crash occurred at Highway 97 and 61st Street in Tulsa County. Officials say a 20-year-old driver failed to stop at a stop sign before the SUV struck her car. The passenger in the SUV was killed in the crash. The 62-year-old driver of the SUV and the driver of the car that ran through the stop sign were both treated at a nearby hospital. It is unclear if the driver responsible for the fatal car crash will be cited for the collision. A 43-year-old Tulsa woman was killed and two others were injured in an Oklahoma car accident involving three vehicles. According to a news report in The Sand Springs Leader, the fatal car crash occurred on 41st Street east of State Highway 97 near Tulsa Community College. Officials say the driver of a westbound car veered left and struck an eastbound vehicle, which in turn hit another vehicle that was traveling east. The Tulsa woman was killed in the crash and the drivers of the other vehicles were hospitalized with non-life-threatening injuries. A 43-year-old Broken Arrow man was killed in an Oklahoma car accident involving a hit-and-run driver. According to The Associated Press, the fatal hit-and-run accident occurred in Broken Arrow the night of November 2. Officials say the man was killed when a Chevrolet S-10 pickup struck him and drove away. Investigators tracked down a 24-year-old Coweta man who has an S-10 with damage consistent with the fatal crash. He faces charges in connection with this fatal collision.